Quantitative cradle-to-gate environmental impacts for ethylene production from naphtha (petroleum crude), ethane (natural gas) and ethanol (corn-based) are predicted using GaBi® software. A comparison reveals that the majority of the predicted environmental impacts for these feedstocks fall within the same order of magnitude. Soil and water pollution associated with corn-based ethylene are however much higher. The main causative factor for greenhouse gas emissions, acidification and air pollution is the burning of fossil-based fuel for agricultural operations, production of fertilizers and pesticides needed for cultivation (in the case of ethanol), ocean-based transportation (for naphtha) and the chemical processing steps (for all feedstocks). An assessment of the environmental impacts of different energy sources (coal, natural gas and fuel oil) reveals almost similar carbon footprints for all the fossil fuels used to produce a given quantity of energy. For most of the environmental impact categories, the GaBi® software reliably predicts the qualitative trends. The predicted emissions agree well with the actual emissions data reported by a coal-based power plant (Lawrence Energy Center, Lawrence, KS) and a natural gas-based power plant (Astoria Generating Station, Queens, NY) to the United States Environmental Protection Agency. The analysis shows that for ethylene production, fuel burning at the power plant to produce energy is by far the dominant source (78–93 % depending on the fuel source) of adverse environmental impacts. The online version of this article (doi: 10.1007/s13203-013-0029-7) contains supplementary material, which is available to authorized users. Ethylene, with a worldwide consumption of 133 million tonnes/year, is the chemical industry’s primary building block . Major industrial uses of ethylene include (a) polymerization to polyethylene and other copolymers; (b) oligomerization to normal alpha-olefins; (c) oxidation to ethylene oxide and acetaldehyde; (d) halogenation and dehydrohalogenation to vinyl chloride; (e) alkylation of benzene to ethylbenzene; and (f) hydroformylation to propionaldehyde [1, 2, 3]. In the USA, 70 % of the total ethylene production capacity comes from steam cracking of naphtha and the remaining 30 % from the thermal cracking of ethane . 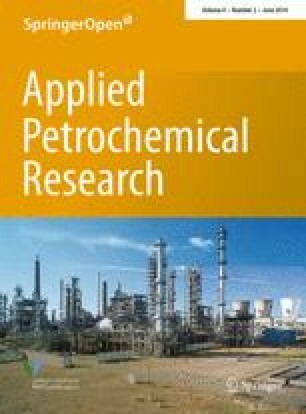 The increased availability of natural gas (and thus ethane) in the USA, as a result of hydraulic fracturing of shale rock, has stimulated feasibility studies of building new ethylene crackers by Chevron Phillips Chemical Company (1.5 million tonnes/year), LyondellBasell Industries (400,000 tonnes/year), Dow Chemical Company (900,000 tonnes/year), Shell Chemical Company (1 million tonnes/year) and Sasol (1 million tonnes/year) [5, 6]. An alternative source for ethylene is the dehydration of ethanol obtained from a renewable source, such as corn, sugarcane, and from cellulose or agricultural waste. Ethylene sourced from sugarcane is claimed to be greener than that produced from fossil fuel-based sources . There is significant interest in green polyethylene from major companies such as Procter & Gamble (consumer goods manufacturer), Tetra Pak (packaging company) and Shiseido (cosmetic company) . Dow Chemical Company and Braskem have announced plans to construct an integrated complex for the production of polyethylene based on sugarcane ethanol in Brazil . While there is strong consumer interest in producing green polyethylene from biomass, the increased availability in the USA of relatively inexpensive ethane feedstock has significantly eroded the cost competitiveness of ethylene sourced from renewable feedstocks. However, in the longer term, bio-based feedstocks are the only sustainable option for producing chemicals. The cracking of naphtha or of ethane to ethylene is highly energy intensive . For ethylene production from corn via ethanol, the ethanol concentration in the effluent stream of the fermentation reactor dictates the energy intensity for ethanol enrichment and its subsequent dehydration to ethylene. Further, the type of fuel used for energy production influences the overall environmental impact. In this work, we perform a comparative environmental impact assessment (cradle-to-gate life-cycle analysis) to quantify the major contributors to the environmental impacts for ethylene production from naphtha, ethane and ethanol, employing natural gas as the energy source in each case. In addition, we also compare the environmental impacts when using other fossil fuels such as coal and oil as the energy sources. Where possible, we have also compared the GaBi® software predictions with reported plant emissions data in an attempt to establish the reliability of such predictions. GaBi 4.4® software  is employed to perform comparative gate-to-gate, cradle-to-gate, and cradle-to-grave life-cycle assessments (LCA) for ethylene and energy production. The raw material and energy datasets provided by GaBi® are based on current technologies. The process simulation used in the GaBi® datasets incorporates process (heat, water and mass) integration and waste treatment technologies. Even though the GaBi® software is designed to perform environmental assessments and generate reports that conform to ISO 14040  and ISO 14044 standards , the current analysis deviates from those rigorous standards in certain areas such as the definition of a functional unit, use of average market mix for representing diverse energy sources and the use of allocation. However, the environmental assessment methodology follows the procedures generally adopted to ultimately develop ISO-compliant reports. Hence, the conclusions are unaltered by these deviations. A USA-specific environmental assessment is performed by employing the US-specific life-cycle inventory (USLCI) and an embedded software tool known as tools for reduction and assessment of chemicals and other environmental impacts (TRACI) [10, 13]. The TRACI software, developed by the United States Environmental Protection Agency (USEPA), is designed based on the midpoint centric approach proposed by Intergovernmental Panel on Climate Change (IPCC). The TRACI methodology enables the generation of impact parameters that are USA specific. Empirical models developed by the US National Acid Precipitation Assessment Program and California Air Resource Board were utilized to estimate the acidification and smog formation potential. Human health cancer and non-cancer impact categories were estimated based on models developed using the USEPA Risk Assessment Guidance and USEPA’s exposure factor handbook . The potential effects of various production operations on environmental impact categories such as acidification, greenhouse gas emissions, ecotoxicity, human carcinogenic and non-carcinogenic effects, and eutrophication are estimated (see definitions in Supplementary Materials, Appendix A) . The production basis for the estimated environmental impacts is assumed as 400,000 tonnes of ethylene/year from each of the following sources: naphtha (petroleum crude), ethane (natural gas) and ethanol derived from corn (biomass). We chose this basis to facilitate comparison of the GaBi®-predicted emissions/impacts with those reported by the ExxonMobil Baytown ethylene cracker with a similar production capacity. It should be clear that even though we do not use a functional unit of 1-kg ethylene produced (as per ISO guidelines), our quantitative results may be suitably scaled to obtain environmental impacts for a functional unit of 1-kg ethylene produced. For each source, a proportional allocation method based on the energy content of the various products formed is employed to estimate the environmental impacts of ethylene production [10, 13]. We further assume that the electricity requirement for all the feedstocks is met with natural gas as fuel (later in this manuscript, we also assess the environmental impacts of using other fossil-based fuels). Although the current US electricity generation capacities are similar for coal and natural gas , the majority (approximately 80 %) of the newer electricity generation capacity in the US uses natural gas . Hence, natural gas is considered as the fuel source in this analysis. Given that valuable co-products are formed during the production of ethylene, the absolute environmental impact is estimated using a proportional energy allocation method, which is based on the energy content of the desired products relative to the energy content of all products and co-products formed with a particular feedstock. The allocation factor is estimated as the net calorific value of the desired product to the total calorific value of all products formed during the production of ethylene with each feedstock. While ISO guidelines suggest against allocation, this should be less of a concern in a comparative analysis if the same type of allocation is used for processes being compared. Further, our methodology allows us to predict the environmental impacts per capita for the various sources (i.e., per unit of ethylene feedstock source and per unit of energy source). From such predictions, it is possible to predict the impacts of using average mixtures of feed and energy sources for any region and time period, as required by ISO guidelines. “Weak point analyzer”, a tool embedded in the GaBi® software was employed to perform a dominance/contribution analysis to identify the major environmental impact categories for producing ethylene. The common assumptions and boundaries for USA-based ethylene production from the three feedstocks are described in the following section. Figure 1 shows the various processing steps, from crude oil recovery to crude oil transport to refinery processes, involved in producing ethylene from naphtha as the feedstock and natural gas as the energy source. For each of these steps, the various inputs and outputs considered when evaluating the overall environmental impacts are also shown. The schematic shown in Fig. 1 represents a cradle-to-gate life-cycle analysis. The environmental impact analysis further assumes the following: (a) a US crude oil mix dataset; (b) the naphtha obtained during the atmospheric distillation of crude oil has the following composition: C3–C4 (8 %), C5 (22.4 %), C6 (19.9 %), C7 (18.2 %), C8 (12.4 %), C9 (11.5 %), C10–C15 (8.6 %); and (c) the yield of ethylene from cracking naphtha is 30 % with the following co-products: H2 and CH4 (17 %), propylene (3 %), butadiene (2 %), C4 olefins (1 %), pyrolysis gasoline (2 %) and benzene (1 %) [10, 18]. The fuel and power requirements for the steam cracking step are 20.1 and 0.3 GJ/tonne of ethylene, respectively . A weighting factor of 0.058 (methodology shown in Supplementary Material, Section B) is utilized to estimate the environmental impacts associated with ethylene production from naphtha . As shown in Fig. 1, the LCA analysis incorporates the environmental impacts of producing the energy (from natural gas) required for the extraction of crude oil from reservoirs, transportation to a refinery in the USA and further processing to produce ethylene. The transportation involves the pumping of the crude oil from a Middle Eastern source to the nearest seaport via pipeline, subsequent shipping in a tanker to the USA (distance is assumed to be 8,000 km, typical of the distance from a Middle East destination), and delivery from the US port of entry to the refinery via pipeline. Figure 2 shows the various processing steps, from natural gas recovery, its purification, transport to a refinery and ultimately the steam cracking of ethane to produce ethylene using energy sourced from natural gas. This cradle-to-gate environmental impact analysis assumes: (a) natural gas obtained from both conventional wells (65 %) and shale rock (35 %) with the following composition: methane (73 mol%); ethane (8 mol%); propane (5 mol%); and butane (3 mol%); carbon dioxide (5 mol%); oxygen (0.15 mol%); nitrogen (2 mol%); hydrogen sulfide (3 mol%) and traces of rare gases such as argon, helium, neon and xenon , (b) the recovered natural gas is processed to reduce the concentration of sulfur and moisture prior to pipeline transportation to the natural gas processing facility where it is fractionated into its individual components, and (c) the ethane fraction is cracked to produce ethylene (80 % selectivity or 56.4 % yield) along with coproducts (hydrogen, methane, propane, butane, propylene, acetylene, propadiene, vinylacetylene, propyne and butadiene) . The fuel and power requirements for steam cracking of ethane are 13.7 and 0.2 MJ/kg of ethylene, respectively . A weighting factor of 0.125 (rationale shown in Supplementary Materials, Section B) is utilized to estimate the environmental impacts associated with ethylene production from ethane. Figure 3 shows the various processes considered in this cradle-to-gate environmental impact analysis for ethylene production from corn-based ethanol. As shown in Fig. 3, the energy-intensive steps associated with ethanol production from corn include soil cultivation, planting, pesticide and fertilizer manufacture and its application, harvesting, transport to the refinery, fermentation, and distillation of ethanol to remove the water . Approximately 308 million kilograms of pesticides and insecticides are used for corn production . The energy requirement for the production of the active ingredient (assumed as glyphosphates, the newest pesticide extensively used for corn production), formulating the active ingredient into pesticide microgranules, packaging and transportation are approximately 457.6, 20, 2 and 1 MJ/kg, respectively . The fertilizers used are urea, monoammonium phosphate, ammonium nitrate and NPK-15. The average values of nitrogen-, phosphate- and potash-based fertilizer consumed for corn production in the USA are 63.5, 27.2 and 35.8 kg/acre, respectively . Approximately 73 % (217.9 million tonnes of CO2 equivalent) of the overall US N2O emissions (300.3 million tonnes of CO2 equivalent) are from agricultural sources. Approximately 75 % of the US agricultural emissions (165 million tonnes of CO2 equivalent) is attributed to the direct emissions from fertilization of soil, translating to ~2.55 tonnes of CO2 equivalent/acre of land used for corn growth [26, 27]. The data for ethanol sourcing from corn (in the USLCI database) assume an ethanol yield of 14.1 wt% from corn. Assuming an average production rate of 180 bushels of corn per acre, this analysis also provides a credit of 8 tonnes of CO2 for every acre of land used for corn cultivation . The byproduct of corn processing is dried distillers grain seed (DDGS), which has economic value as either animal feed or a solid fuel. Approximately 99 % of ethanol is converted by catalytic dehydration to produce a stream with the following selectivity: ethylene (96 %), ethane (0.05 %), propylene (0.06 %), butylenes (2.4 %) and acetaldehyde (0.2 %) . The total energy required to dehydrate ethanol is 1.6 MJ/kg ethanol . The net calorific values of DDGS and ethylene serve as the basis for allocating the environmental impact of ethylene production from ethanol. A weighting factor of 0.63 (methodology shown in Supplementary Materials, Section B) is utilized to estimate the environmental impacts associated with ethylene production from ethanol. To test the credibility of the computational approach, Table 1 compares the gate-to-gate emissions (fugitive, stack and emissions into the water stream) from an ethylene cracker reported by ExxonMobil (capacity: 400,000 tonnes/year) [30, 31] to the USEPA with those predicted by GaBi® software. Ethylene is sourced from naphtha [32, 33, 34]. A comparison of the gate-to-gate emissions shows that the GaBi® software reliably predicts the types of emissions and the qualitative trends. The quantitative predictions for a majority of impact categories (8 out of 15 with data for 5 categories not available in the public domain for comparison purposes) are of same order of magnitude as the reported emissions. This trend is similar to what we have reported elsewhere [35, 36, 37]. The environmental impacts of ethylene production from naphtha, ethane and ethanol as feedstocks, using natural gas as the energy source in all cases, are compared in Table 2. The cradle-to-gate environmental impacts (Table 2) for a majority of impact categories (11 of 15) are within an order of magnitude and thus their differences lie within prediction uncertainty. As expected, the predicted cradle-to-gate impacts are greater than the predicted gate-to-gate emissions (listed in Table 1) in most categories, from a few-fold to several orders of magnitude depending on the impact category. For the results listed in Table 2, a dominance analysis identified the following environmental impact categories to be noteworthy. Greenhouse gas (GHG) emissions Ethylene production from ethanol involves highly energy-intensive steps in the overall life cycle, including H2 production for ammonia fertilizer manufacture, the dehydration of ethanol (highly endothermic requiring 1.6 MJ/kg of ethylene) , and the separation of water from ethanol. Further, CO2 is a byproduct in the steam reforming of CH4, the dominant process for H2 production . The cumulative greenhouse gas emissions for the steam cracking of naphtha and ethane amount to 1,135 and 840 kg CO2/tonne of ethylene, respectively. As shown in Table 2, natural gas burning to produce process energy is a major contributor to GHG emissions for ethylene production from all feedstocks. In the case of ethanol feedstock, CO2 removal from the atmosphere by corn photosynthesis only partly offsets these emissions . Acidification In general, this category is dominated by SOX and NOX emissions. Natural gas burning (for all ethylene sources) and ocean-based transportation of crude oil in ships powered by bunker-fuel (~15 %) are the major contributors [41, 42]. In contrast, transporting natural gas via pipeline accounts for approximately 3 % of the overall environmental impact. Ecotoxicity—air In this category, the general causative factors are emissions of metals (copper, selenium and zinc), nonmetals (arsenic) and organic chemicals (such as polychlorinated biphenyls) into the atmosphere. The energy generated to process the crude oil (including extraction, refining and naphtha cracking) is the major contributor . Ecotoxicity ground surface soil In general, contamination of soil by corn farming contributes to this impact category. Extensive use of chemical fertilizers and pesticides for corn production results in the contamination of soil by metals such as zinc, copper and nickel which constitute approximately 0.1 wt% of the fertilizer mass . In 2009, the consumptions of nitrogen-, phosphate- and potash-based fertilizer were 4.8, 1.42 and 1.45 million nutrient tonnes, respectively, making corn production the most fertilizer intensive among all the crops grown in the USA . Common agricultural practices such as conventional tilling (practice of turning or digging up soils) to prepare fields for seeding new corn remove organic residue from the top soil surface left by previous harvests or cover crops, further exacerbating the fertilizer requirement for cultivation. In comparison, soil pollution is negligible for ethylene production from crude oil and natural gas. Ecotoxicity—Water In general, partitioning of metals (copper, nickel and chromium) and non-metals (arsenic) into water reservoirs, lakes, and rivers contributes to this impact category. Leaching of the heavily fertilized top soil (during corn farming) by run-off of rain water or from irrigation is a major reason for this contamination. Inadequate rain and extensive irrigation during cultivation also adversely impact the local ecosystem due to the exhaustion of the water table and reduced water levels in water reservoirs, lakes and rivers. Water is also used in the fermentation of corn to ethanol (1.65 gallons of water/kg of ethylene produced). For comparison, 2–2.5 gallon of water is needed for the production of a kilogram of ethylene from naphtha . Eutrophication Erosion of fertilized soil containing ammonia, nitrates and phosphates in corn farming and N2O emissions are the main causative factors in eutrophication of fresh water . In addition, wastewater from an ethanol processing facility has a high biological oxygen demand (BOD) value of 18,000–37,000 mg/L . The direct emission caused by the microbial and chemical reduction of nitrates (biological denitrification and chemodenitrification), addition of mineral N-containing substrates (ammonium phosphate), animal manures, crop residues, nitrogen-fixing crops and sewage sludge to agricultural soils are the major sources of N2O emissions [49, 50]. Approximately, 1.25 wt% of nitrogen present in the fertilizer is emitted into the atmosphere as N2O. In comparison, the eutrophication potential for naphtha from crude oil is substantially lower (0.003 kg N eq. vs. 1.4 kg N eq. for corn ethanol), attributed to the NOx emissions during ocean-based transportation of crude oil . The overall environmental impact of ethylene production is thus similar for naphtha, ethane, and corn-ethanol feedstocks. It should be emphasized that ethylene sourced from cellulosic ethanol will have a different environmental impact. For all the ethylene sources, the environmental impact assessment identifies the energy production step (natural gas-based electricity) as the biggest contributor (~approximately 85 % of the overall environmental impact). In the following section, an analysis is performed to quantify and compare the environmental impact of producing energy from other fossil fuel sources (coal and fuel oil) as well. The foregoing LCA of ethylene production from various feedstocks assumes natural gas as the source of process energy. To determine the effect of the energy source, we also performed environmental impact assessments to quantify the impacts of generating process energy from various fossil fuels such as coal (hard coal, lignite), fuel oil (heavy fuel oil, light fuel oil) and natural gas. In each case, the cumulative environmental impacts of burning the fuels to produce 1,000 MJ of energy consider (a) extraction of the fuel from its source; (b) transportation of the extracted fuel to the power plant; and (c) production of 1,000 MJ energy at the power plant. Coal is classified based on carbon, ash and inherent moisture content. Hard coal, also known as anthracite, is the best quality coal with a high carbon content and calorific value. Lignite, commonly known as brown coal, has a relatively lower energy content due to high inherent moisture and ash contents . In the USA, lignite coal is primarily used for electricity production whereas hard coal is used for metal processing. Table 3 lists the GaBi® estimated impacts for the mining of coal alone and the overall cradle-to-grave impacts for producing energy from the mined coal. The difference in these impacts is attributed to the emissions from a power generation facility. It must be noted that when producing energy by combustion of the fuel, the emissions beyond the power plant represent the “grave” for the fuel. As shown in Table 3, the predicted impacts for coal from an underground mine are greater than those for a surface mine in most categories except water pollution. However, the differences lie within the prediction uncertainty. Further, the Greenhouse Gas (GHG) emissions (global warming potential) from burning at the power plant [76.5 kg CO2 Equivalent/1,000 MJ of energy] are similar to the actual emissions reported to the USEPA [78 kg CO2 Equivalent/1,000 MJ of energy] by the Lawrence Energy Center (Lawrence, KS) . This facility utilizes anthracite coal obtained from a surface mine [53, 54]. The emissions associated with burning fuel at the power plant contribute to 78 % of the overall environmental impact whereas energy usage during mining and transportation of the fuel contributes to approximately 17 and 5 %, respectively, of the overall impact. Natural gas, which is predominantly methane, has a low sulfur content and high specific energy (MJ/kg) compared to the other sources. Table 4 lists the environmental impacts of extracting and transporting natural gas from reservoirs, and of producing 1,000 MJ energy from natural gas at a power plant. Natural gas burning at the power plant contributes to 89 % of the overall impact whereas natural gas extraction and transportation contribute to 6 and 4 %, respectively, of the overall impact. As shown in Table 4, the predicted emissions in the various categories are of the same order of magnitude as those reported to the USEPA by the Astoria Generating Station (Queens, New York) [55, 56]. Heavy fuel oil (Number 6, residual fuel oil, bunker fuel oil) mainly comprises residues from cracking and distillation units in the refinery. These fuels have higher mass density and high carbon/hydrogen ratios compared to light fuel oil (Number 3 fuel oil) . Table 5 compares the predicted impacts associated with fuel oil production (high boiling fraction of crude oil) and emissions associated with the burning of both heavy and light fuel oils. The impacts of generating energy from heavy and light fuel oils are similar, with the differences being within prediction uncertainty. The impacts of producing 1,000 MJ energy at the power plant account for approximately 93 % of the overall impact whereas oil extraction and oil transportation contribute to 3 and 4 % of the overall environmental impact, respectively. For all energy sources considered in this work, the overall cradle-to-grave environmental impacts for energy production for a majority of environmental impact categories are within an order of magnitude with fuel burning at the power plant being the major contributor (78–93 % based on the energy source) to environmental pollution (Tables 3, 4, 5). The major sources of pollution are discussed in the following section. Greenhouse gas (GHG) emissions The cradle-to-grave impacts estimated for coal (Table 3) and oil (Table 5) differ by approximately 10 %, which is within the prediction uncertainty. The cradle-to-grave carbon footprint for natural gas is lower by approximately 25 % (see Table 4) compared to either coal or oil. This is primarily attributed to the low carbon content and the higher calorific value of natural gas. This analysis however assumes that there is no contribution to GHG emissions by natural gas leakage. Acidification potential of the various energy sources is dictated by the sulfur content and the associated SO2 emissions during fuel burning. While NOX emissions result from fuel burning, the actual amounts are relatively small. As shown in Table 3, the acidification potential of hard coal is higher than lignite coal by 21 % even though lignite contains more sulfur than hard coal. This is because of the fact that energy production from lignite requires state-of-the-art SOX and NOX abatement technologies to meet the stringent environmental regulations. The higher S content in heavy fuel oil results in higher acidification potential compared to light fuel oil (Table 5). Ecotoxicity—air The metal emissions for coal and heavy fuel oil are greater than light fuel oil and natural gas by an order of magnitude (Tables 3, 4, 5). In coal, zinc is present in the sphalerite form that has a low melting point and hence is easily susceptible to vaporization resulting in metal emissions. Heavy metal emissions (such as chromium) in fuels depend on the properties and concentration of metals and the technologies used for combustion and post-combustion cleanup. Human health cancer air Potential metal emissions for energy production from hard coal, lignite and heavy fuel oil are similar but an order of magnitude greater than those reported for natural gas and light fuel oil (Tables 3, 4, 5). Combustion of coal (anthracite and lignite) produces significant arsenic emissions, which have high toxicity and persistence . Potential metal emissions for energy production from hard coal, lignite and heavy fuel oil are similar but an order of magnitude higher than that reported for natural gas and light fuel oil (Tables 3, 4, 5). Combustion of coal also produces mercury, nickel and chromium emissions . In 2005, the amounts of SOX and NOX emissions reported by the Lawrence Energy Center (KS) a coal fired power plant, are 0.066 (10−3) and 0.0988 (10−3) kg/MJ, respectively. In contrast, the natural gas fired power plant at Seminole (FL) reported SOX and NOX emissions of 0.158 (10−3) and 0.02 (10−3) kg/MJ in 2010, respectively . In 2010, mercury emissions from coal-fired plants using state of the art mercury capture techniques are approximately 0.27 (10−9) kg Hg/MJ of energy produced . The mobility of arsenic in the atmosphere during mining, combustion and storage of coal is dependent on its mode of occurrence. Arsenic in hard coal and lignite is present in the pyrite organic phase. The storage facilities and waste material are major sources of arsenic mobilization. Clean coal technologies, employed to reduce sulfur content, are known to reduce arsenic concentration resulting in lower arsenic emissions during energy production from lignite . The results from the foregoing analysis can be easily scaled to reflect per capita environmental impacts and can therefore be utilized to quantify the environmental impacts of energy production from various energy sources in general. For ethylene production from naphtha, the composition of the crude oil has a significant influence on the overall environmental impact. For example, increased sulfur and nitrogen contents in crude oil will adversely impact the process energy requirement and overall yield of the process. In the case of ethylene from ethane cracking, the inclusion of fugitive emissions during the handling of natural gas, such as methane (with a global warming potential of 25 times that of CO2 on a weight basis), will significantly worsen the overall environmental impact. For ethylene from corn ethanol, the environmental impacts can be lower under the following scenarios: increased ethanol yields either due to the development of genetically modified corn or commercialization of technologies that can process both corn and corn stover (cellulose, hemi-cellulose and lignocellulose); and development of corn strains that require less fertilizer and water and also have a higher resistance to pests. Clearly, regardless of feedstock used in ethylene production, the production of energy from renewable sources and deployment of green energy technologies will significantly reduce the carbon footprint. The cumulative emissions associated with the production of ethylene from naphtha, ethane and ethanol, with the process energy derived from natural gas, are similar and the differences lie within the prediction uncertainty of the cradle-to-gate life-cycle assessment. For ethylene produced from naphtha and ethane, the energy expended during the extraction and ocean-based transportation of fossil fuel sources (crude oil and natural gas) contributes significantly to adverse environmental impacts such as GHG emissions, acidification, and eco-toxicity (air and water). The eutrophication of water bodies is virtually negligible for these feedstocks. In the case of ethylene production from corn, the main contributor to adverse environmental impacts is the burning of natural gas to generate the energy needed for (a) producing the raw materials (including corn, fertilizers and pesticides), (b) endothermic dehydration of ethanol to ethylene, and (c) ethanol separation from water. The removal of carbon dioxide by plants due to photosynthesis only partly offsets the GHG emissions. Further, the leaching of the fertilized surface soil causes water pollution and eutrophication of the rivers and water bodies. The cumulative cradle-to-grave environmental impacts for producing a given amount of energy from natural gas, coal and fuel oil are of the same order of magnitude for a majority of environmental impact categories. Energy sourced from natural gas has relatively lower global warming potential (by approximately 25 %) among all the energy sources due to its low sulfur and carbon contents. The predicted environmental impacts for energy production from coal and natural gas at power plants are similar to those reported by Lawrence Energy Center (coal based) and Astoria Generating Station (natural gas based). The cradle-to-gate analysis shows that in all cases, the fuel burning to produce energy at the power plant is by far the biggest contributor to the various adverse environmental impacts, ranging from approximately 78 to 93 % depending on the fuel. In other words, the choice of feedstock (naphtha, ethane or ethanol) used for the sourcing of ethylene does not significantly alter the overall environmental impact. This research was partly supported with funds from the following sources: National Science Foundation Accelerating Innovation Research Grant (IIP-1127765) and United States Department of Agriculture USDA/NIFA Award 2011-10006-30362.